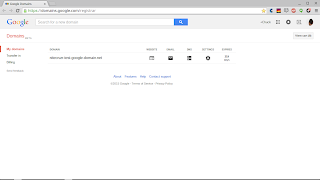 I setup a Google Domain, several months ago. 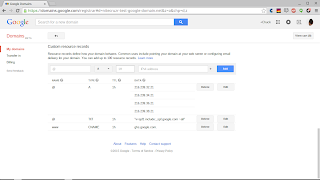 Adding DNS addresses to a recently purchased Google Domain is quite simple. 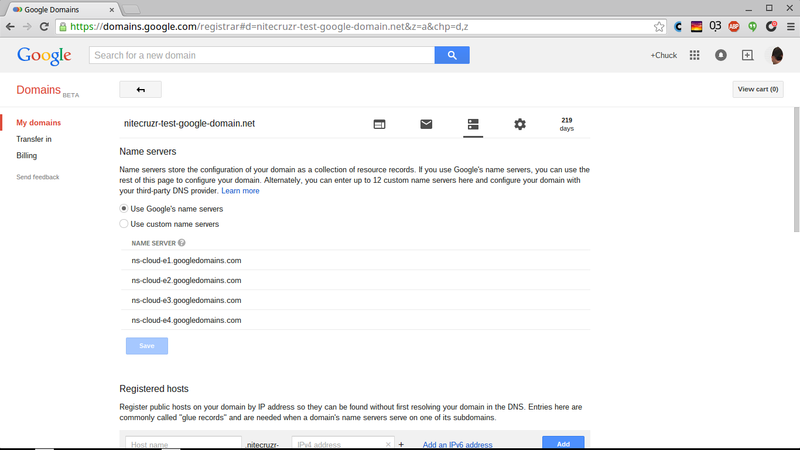 Start by logging in to Google Domains. 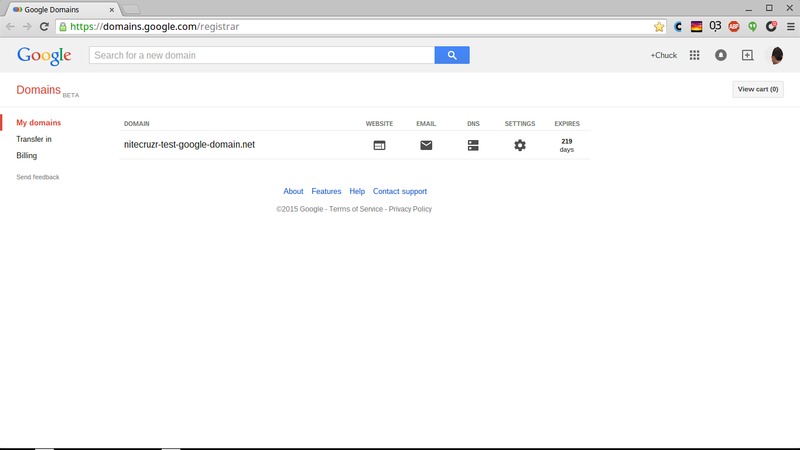 Once you login, you have the Google Domains dashboard Home page. Find your domain, in the list - and select the "DNS" icon,for your domain. That gives you the "DNS" dashboard, for your domain. This is also known as the "Zone Editor", in some instructions. Scroll to the bottom of the "DNS" dashboard, and "Custom resource records". There are the 4 x "A" + "CNAME" entries. You will have a different domain - but your address entries will be otherwise similar to what you see (with either "ghs.google.com. ", or "ghs.googlehosted.com."). Add the first address entry. Paste "216.239.32.21" into the box labeled "IPv4 address", and hit "Add". Add 3 more addresses - "216.239.34.21", "216.239.36.21", "216.239.38.21" - in the same way. 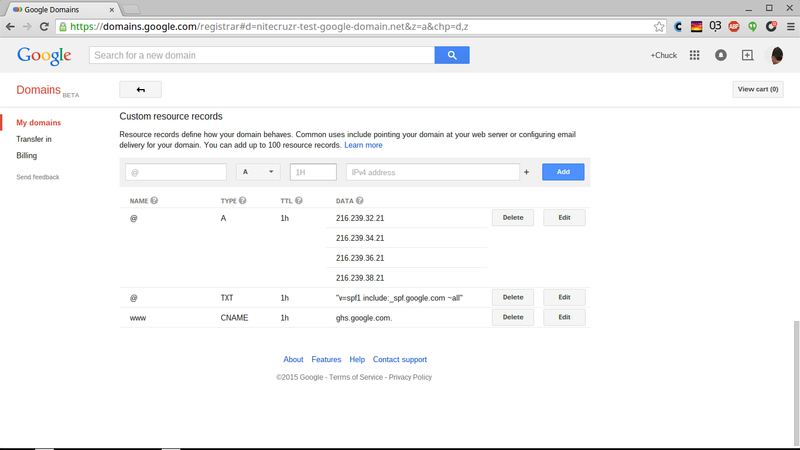 Then, change "@" to "www", select "CNAME" in place of "A" in the pull down menu, enter either "ghs.google.com. ", or "ghs.googlehosted.com." into the address box, and hit "Add" for a 5th time. Checkout the zone editor, for your domain. It should be similar to what you see, above. This is the well known "asymmetrical" DNS configuration, provided by "Buy a domain", not so long ago. I don't think manual DNS address setup could be much simpler. 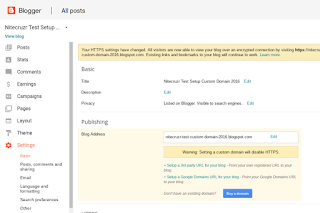 With the new domain properly addressed, wait 24 to 48 hours hours for the domain to propagate, then go to the Settings - Basic page of the Blogger dashboard. 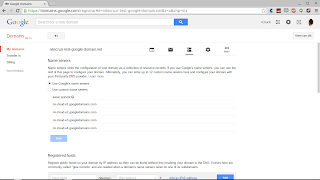 Select "Setup a Google Domains URL for your blog", and follow instructions. 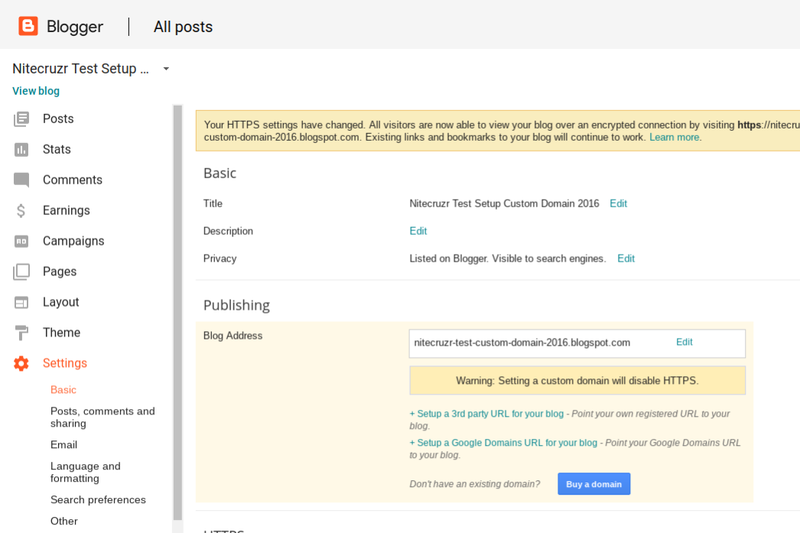 Use the "Setup a Google Domains URL for your blog" link in the Publishing wizard, in Settings - Basic to connect the blog to the domain. Then get to work, publishing more content in your newly addressed blog. Ahh, they may be selling them to Americans. But for the rest of us, domains.google.com is still saying "Invite only beta". Yes, Mary, Google Domains, like many previous Google ventures, always starts with USA availability. Sorry if I caused unfair disappointment. HELP. I cannot get past the DNS setup. When I get to the part where you have to enter the WWW before the website and it's supposed to give you an error with the information I need to input, I'm NOT getting that and I'm about to lose my freaking mind. It says ERROR : Code UNAVAILABLE please try again. And I've tried like a dozen times or more!!!! There are many possible problems, when using custom domain publishing. Please post in Blogger Help Forums, so we can diagnose the problem. Is there any way to change this pointing ip address to any other?? because this ip address is not reachable from my company network which i work most of the time. any other internet ip address is reachable. I dont know why this ip is not reachable. If the "CNAME" to "ghs.google.com" points to "74.125.200.121", that's where your blog is addressed - along with a few million other blogs. Blogger is not going to change their IP address, simply because it's not reachable from one company. You need to talk to your corporate networking techs, and find out why "74.125.200.121" is "not reachable".